Very bright day at the min with some patchy cloud (going to be warm again). The eden is clear and in excellent condition. See river reports for news of produtive sessions. The weather is overcast with the occasional sunny spell and a northerly breeze . The eden is at a good level and the water is clear , very fishable ! Lovely morning up here ,quite cool at min but will soon warm up and river conditions are still very good for the bank holiday weekend. Its a bright cool morning and river conditions are still very good. River conditions are still very good and the weather is dry with patchy cloud and some bright spells. 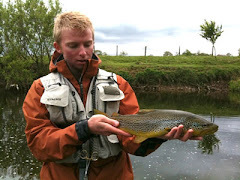 See river reports for up to date catch reviews. Its a wet morning with quite a strong breeze , but still mild. River conditions are still very good and river levels are unlikely to be affected by the amount of rain we are having. Another lovely morning , not a cloud in the sky at the min and river conditions are unchanged. Dry and sunny morning . Had some overnight rain but not enough to effect river levels which are the same as in previous reports. Another gorgeous morning with some hazy sunshine. River is much the same, as in previous reports , in good fettle (as they say up here). Very nice morning ,a bit cool with some patchy high cloud. River spot on. A beautiful warm evening with no rain . The river is in great condition and hopefully will stay that way for a great weekend of fishing . TIGHT LINES ! The River Eden is running clear at a nice level but conditions remain fairly chilly. Cloudy with prospect of possible rain. 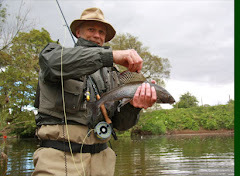 Although fish are not yet prolific some nice fish have been caught by those willing to venture out (See Fishing Reports on our website). Rained during the night and still drizzling this morning. Also chilly, colder than in previous days. Some overnight rain but not enough to alter the level of the River Eden significantly. Cloudy but relatively bright. It is raining up here today. It is also cooler. Conditions are therefore not the most comfortable for a day on the river at present (around 9am). However there are spells of brightness when the sun breaks through so hopefully conditions will improve as the day warms up. The river continues to run at an attractive fishable level. Some overnight rain but not much. Not enough to change the river level significantly. Still nice conditions for April. Cloudy but bright. This picture, taken yesterday just below Musgrave Bridge shows the very fishable level of the river at present. Once again conditions are good for early season. The river continues to run clear at a nice fishable level. The weather is fine, overcast, but relatively bright with the sun trying to break through. There was no overnight frost and temperatures are now quite mild. All looks well for those wishing to venture out in April. At 7.30am the weather is mild and predicted to remain so for the next day or two. The sun is trying to break through the clouds so the day is bright. 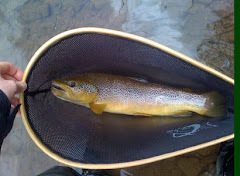 The river remains clear at a great level for fishing. Conditions over the Easter weekend may just tempt some of us out for the first time this season. The river is running at a nice level today. It is clear and eminently fishable. No frost this morning. The weather is relatively mild and overcast. At 6.30am there is no frost, unlike previous days. River level is good and the water is clear. A mild day with the river in good condition. Today started cloudy, windy and dull. By lunchtime the clouds had cleared and blue skies prevailed. 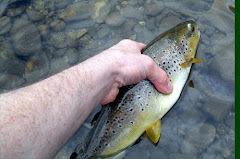 It is now warmer than previous days and the river is running clear at a lovely very fishable level. Good luck to anyone that takes a chance. A beautiful day here in Kirkby Stephen today. Blue skies and sunshine with the River Eden running clear at a nice level for fishing. But cold, still very cold. However some fly life is evident. Good luck to those willing to give it a try. Very cold today. River not in flood. Snow on Wildboar Fell above Mallerstang. Although cold it has been a bright day with blue skies and sunshine leading to a beautiful evening with blue skies and a lovely setting sun. The river, this evening, remains at a nice level but it is still very cold.